Wouldn’t you really rather leave it with us? The only way for you to truly evaluate Mini Entrepot Metro in Montreal is to come and tour our safe and secure storage facility, our retail moving supplies store and our security offices. Let our dedicated staff know exactly what you want and they will prepare a no obligation written quote for you - with a commitment to meet all your needs. We guarantee that if you truly value the things you want to store, you won’t find better value than Mini Entrepot Metro. 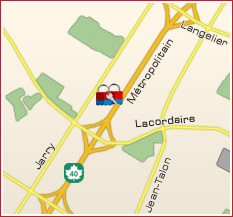 Contact us today for a free tour of our new Montreal storage facility. How can we help you! Please fill out this form and any questions that you may have it would be our pleasure at www.minientrepotmetro.com to respond promptly.